A. A residential home in the suburbs. I initially assumed that the house was in or near Tampa, Florida ( the same as the Homecoming facility ). But when she meets up with Anthony at the bar, and he asks her how things are going in Tampa, she remarks that she moved back in with her mother, which seems to suggest that her mother's house isn't in Tampa. She also mentions "moving down there" when she speaks of taking the job in Tampa with Homecoming. That seems to indicate that her mother's house is farther north in Florida than Tampa - but that still covers a lot of possible locations for her mother's house. So, at this point I'm still uncertain of exactly where the house is supposed to be. In 2022, after she has left Homecoming, and with her memory almost gone, Heidi has moved out of her upscale condo, gotten a job as a waitress in a floating diner, and has moved back in with her mother. As a result, we see the house fairly often, as the show flips back & fourth between 2018 and 2022. The house is seen again, after dark, from a distant aerial shot, in Episode 4, around 10:10, as Heidi returns from that encounter with Anthony at the bar. 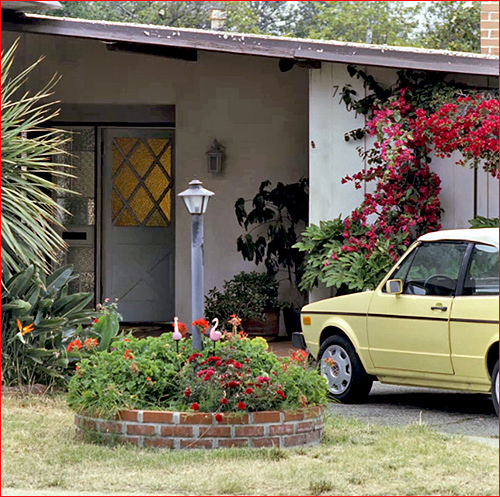 In Episode 7, at 18:11, DOD investigator Thomas Carrasco ( Shea Whigham ) leaves the house and walks across the street to his car, and we see that Colin ( Bobby Cannavale ) is parked nearby, spying on him. At 21:14. we see it again, as Heidi comes out of the front door and gets into Colin's car. In Episode 8 ("Protocol"), at 01:46, it is seen again when Thomas shows up at her mother's house again, asking about an envelope that Heidi took (but he runs into a stone wall with her mother). A. An actual residential home in the suburbs, but not in Florida. A. This house is actually at 7701 Yarmouth Ave, in Reseda, CA., in a fairly typical Southern California suburb. It's in L.A.'s San Fernando Valley, about midway between Lake Balboa and Cal-State Northridge. And it's only about six miles northwest of another Valley location from the show: L.A. Valley College. A. I can't take credit for finding this one. 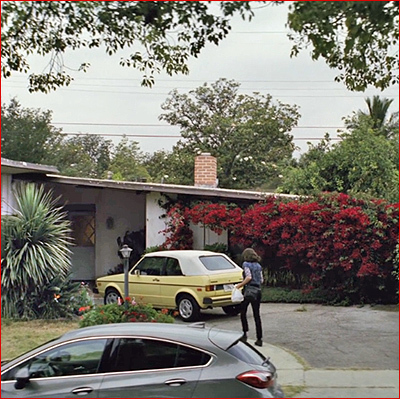 I got a tip about to its location, then just checked Google StreetView to make sure it matched with the house seen on the show.